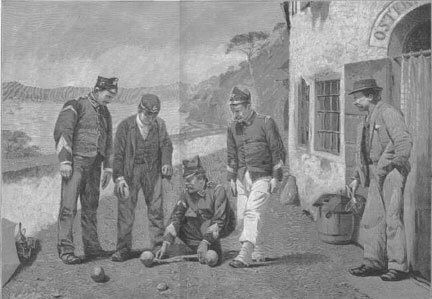 It is believed bocce ball gets its origins centuries ago from a game soldiers played with rocks to pass time in-between battles. This game made it to their home towns and villages and evolved into the modern game we now know as BOCCE BALL. This fun and entertaining Italian/French game has been played for generations and on many soils around the world by young and old. The tradition continues once again this October in Del Mar and you are invited! For more information view the 2015 Bocce Ball Event Flyer. Sponsors of the Turf Bocce Ball Tournament provide funding to the charities that the DMSB Rotary Club supports, and help defray the costs of the tournament. Sponsorships include recognition at the event and on the web site DMSBbocce.com. Operation Game On is honored to be one of the chosen beneficiaries for this event! Come play! See if you can win it all! Show everyone what golfers can do when they get to use their hands. Registration begins at 9 a.m and the event culminates with the championship match later that afternoon.